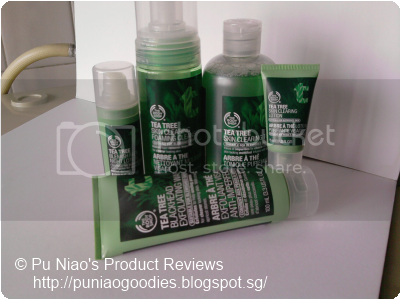 The Body Shop Pore Minimizer: This new Tea Tree Pore Minimiser makes pores look smaller. Infused with Community Fair Trade organic tea tree oil, it smoothes, primes and mattifies, and leaves skin feeling fresh and pure. 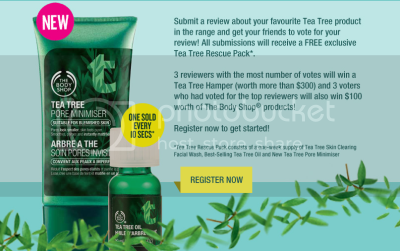 VERDICT: So, I went down to the regular TBS outlet at Bukit Panjang Plaza where I am a regular customer for years already and their friendly staffs gave me a sample satchet of their latest product, Tea Tree Pore Minimizer to try out. They were even patient enough to explain that they could only give out 1 sample satchet per customer, how else can I be upset when they are so patient? So, I went home and since it was already late in the evening, I felt it was rather pointless to apply it at night. We don't really sweat buckets when we sleep if we switched on our air-conditioner or electric fan. I waited until the next morning when I woke up, took a shower, washed my face, etc etc. I applied it sparingly as I have previously mentioned in some of my earlier posts. 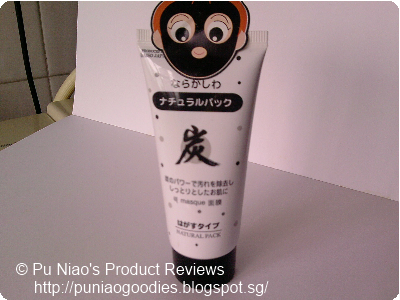 1 sample satchet is enough for roughly 1.5 days use, but when used sparingly and evenly can be used for 2 days straight. 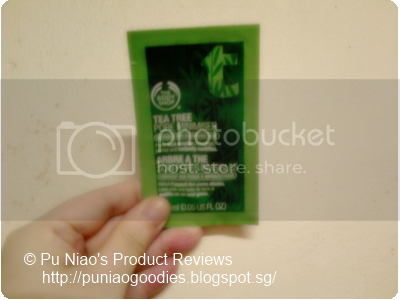 Like all other Tea Tree products under The Body Shop belt, this one gets absorbed into my skin rather fast. And despite hours after application (probably less than 1 hour's time of sweating, but not so profusely), my face doesn't feel greasy nor oily. My eyesight is kinda bad anyways, and I'm not sure if I did saw my pores getting smaller. But what I dare assure is that, prior to using the sample satchet of Tea Tree Pore Minizer, my face can get pretty wet after a short amount of time under the sun. 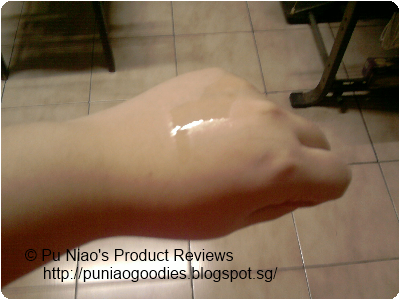 But after using the Tea Tree Pore Minimizer sample satchet, I did noticed that my face wasn't as "drenched" as before. Of course, wonderful products like these have to used on a daily and permanent basis, not only to see results but also to maintain your skin's (or body's) current condition and prevent nasties like acnes from coming up. Best applied after cleanser, toner and moisturiser to give an instant confidence boost. WHERE TO REDEEM A SAMPLE: Pop by any The Body Shop outlets in Singapore and approach any of their SA's for a sample satchet. Remember, a little goes a long way. There's no need to ask for more than 2 sample satchets when 1 is enough to last for 1.5 - 2 days. Every day our body produces sebum (oil) to keep skin supple. How much sebum we produce is regulated by several factors, including hormones. Oil on the skin's surface can cause dead skin cells to stick together and clog pores. When pores are clogged, oil can build up behind the blockage. This is the ideal environment for spot-causing bacteria to gather. 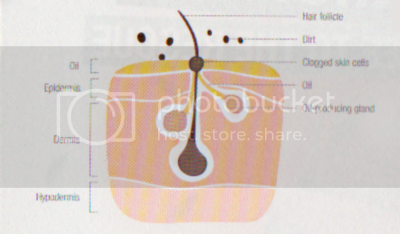 The clogged pores, build-up of oil and growth of bacteria combine to form a spot. 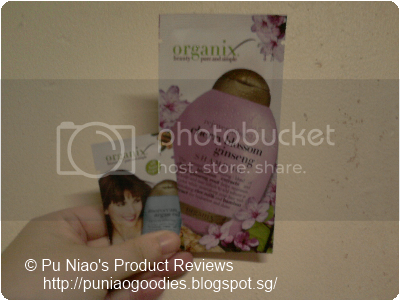 A refreshing instant foaming cleanser to gently but effectively cleanse the skin, removing make-up, dirt and impurities. Regular use helps keep skin blemish free, refreshed and calm. An everyday creamy facial wash, perfect for anyone with skin displaying a build-up of blackheads. Use it everyday to help unclog pores, gently exfoliating to remove trapped dirt, oil and dead skin cells, so your skin can be blemish-free, look invigorated, clear, clean and beautifully smooth. Features a new ‘shake to activate’ refreshing formula to effectively tone the skin, remove traces of impurities while leaving skin looking matte and without drying out your skin. A beautifully light and moisturising lotion that sinks into the skin to hydrate and help clear and prevent blemishes. 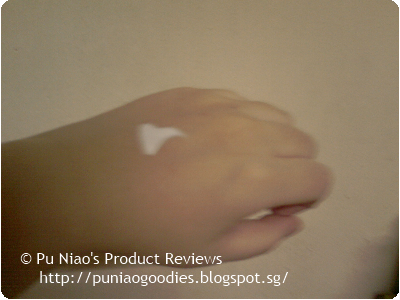 This lotion also contains powders for shine control. Skin appears matte. Improve the appearance of blemish-damaged skin, control oiliness and moisturize while you sleep with a light, moisturizing, non-oily lotion that sinks into the skin. 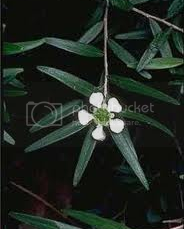 Organic Tea Tree Oil: Used for centuries, tea tree oil is known for its infection fighting properties as well as for soothing and refreshing the skin. 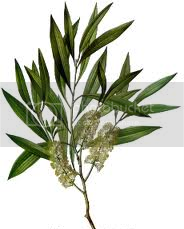 Lemon Tea Tree Oil: An antiseptic ingredient that is known to soothe skin. 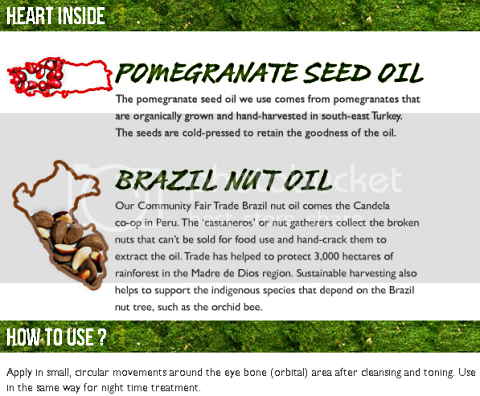 Organic Tamanu Oil: Reputed to have an incredible capacity to encourage healthy skin renewal. VERDICT: I probably was one of the lucky ones who never got acne problem during my school years. And this good luck streak continued until I was around 25+ and that's when everything seemed to go downhill. Acnes started popping up on my face, but not with so much ferocity. It's limited to once every couple of months. Then it got worse, I admit my T-zone isn't particularly oil-free at all although my forehead/eyebrow area seems to be under control. Nose-wise, it's just a little hard work at least twice a week to make it look blackhead-free. Now, the chin. Acnes started popping up on my chin for the past 2 years or so and sometimes, that ugly red angry dot just seems to stay there for weeks on end. It doesn't dry or clear up, nor does it "ripe" so I can get rid of it and off my face. That was until I convinced my mother to try out The Body Shop Eau De Toilette and Eau De Parfum collection and managed to grab hold of the store manager at the outlet I frequented. It was a emotion-wrecking moment as I poured out my acne woes to the poor store manager while she listened patiently. She suggested I give their Tea Tree Skin Clearing Foaming Facial Cleanser and Tea Tree Face Mask a try and see how it goes. And she was confident that it can help dimish my acne activity on my face via the cleansing foaming facial cleanser while the face mask literally "cools" the acne that is about to start making "special appearances". Needless to say, I was totally hooked. My acne cleared up tremendously from daily usage. Their Tea Tree range doesn't make my face oilier than it already was and just leaves it feeling clean and refreshed every single day. So much so, I decided to give their Tea Tree Blackhead Exfoliating Wash a try as well, partly because of my over-active blackheads that just won't stay away. Also recommended is the Tea Tree Blemish Fade Night Lotion which I religiously applied on my acne blemishes every night before I go to bed. The Tea Tree Blackhead Exfoliating Wash really helps get rid most of my blackheads while the Tea Tree Blemish Fade Night Lotion lightens away my blemishes. WHAT I THINK: Feels like teen spirit. Literally! WHERE TO REDEEM A SAMPLE: Pop by to any The Body Shop outlets throughout Singapore and ask their SA's for a sample satchet and give it a try. You won't be disappointed, I promise. Has been quite a (somewhat) gratifying last week, I love weekdays right up till Saturday. 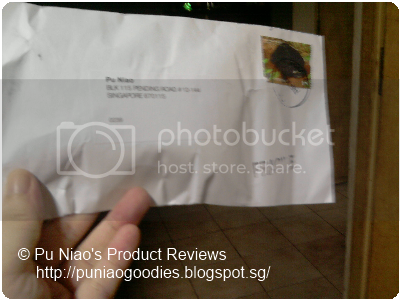 That means the postman is out delivering letters cos the post offices are opened. 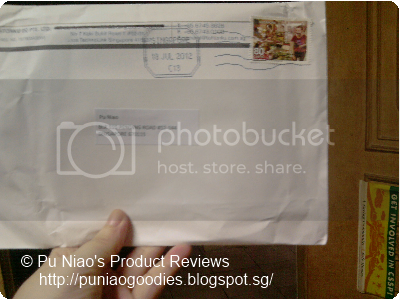 And I cannot wait for the new day where I opened up my mailbox to see if my goodies and samples have arrived. No indication on where it was from, except for the word FRAGILE stamped on the envelope. *. * Bubble-wrapped samples, don't you just love it when your sample comes bubble-wrapped? Comes in a little booklet. LipIce Sheer Color goes on clear, then changes to a subtle pink that enhances the natural beauty of your lips. Keeps your lips soft & healthy looking. Contains gentle beeswax. 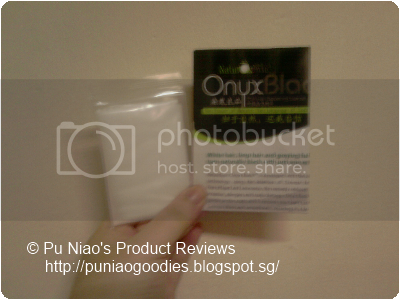 NaturaSync Onyx Black™ is developed with the latest technology, using the essences of Chinese herbs. 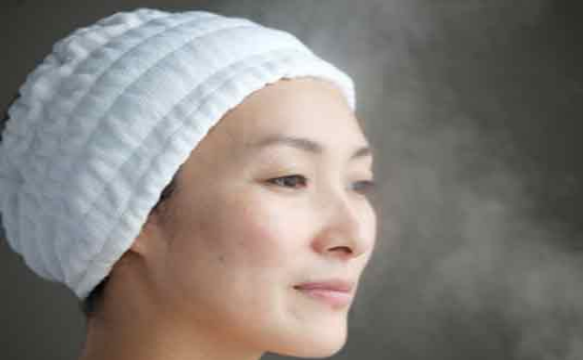 Free of lead and ammonia, this remedy reduces skin irritation, allergies and scalp damage. Onyx Black™ is gentle on the scalp and it restores your hair’s colour, lustrous shine and smoothness, resulting in a lasting effect with its unique formula. 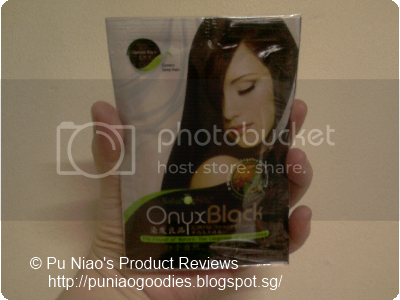 With just the simple act of shampooing your hair, Onyx Black™ works whether you are suffering from white hair, partial white hair or grey hair, giving you a head of smooth and beautiful black hair. 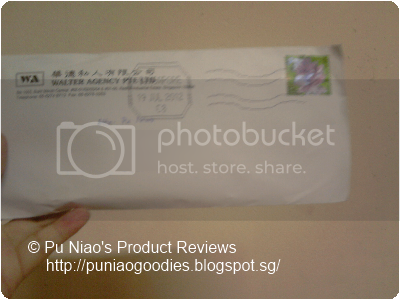 Fill in the survey including your snail-mail address to receive a sample. 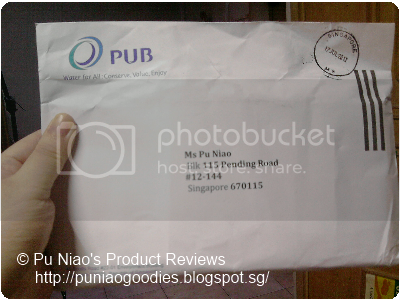 Mother: Why PUB send you letter? 6 little buttons, staring at my face. 6 little buttons, staring..
Oh, a little carried away here. 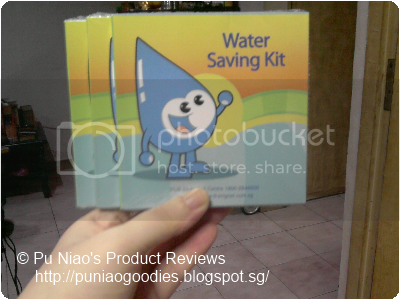 These are water saving kits from PUB Singapore, a set of thimbles with three and four holes allows residents to have greater flexibility in regulating their tap’s and showerhead’s flow rates. When the page finished loading, just scroll down and fill in the form. I requested for three since I have quite a few taps at home. Rest, I "spread" it to my close relatives. My samples came looking a little "greasy". Ack! 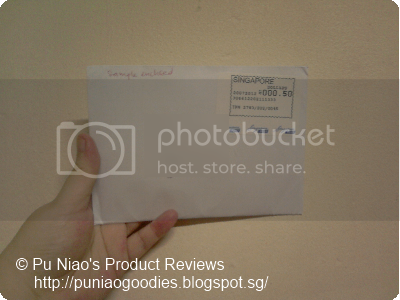 Supposed to have Free Sample link, but samples might have been fully redeemed. 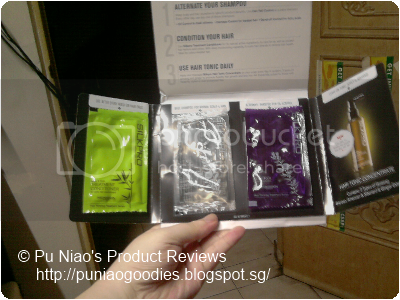 You can Like SilkPro Singapore'a Facebook page to be informed of their next sample giveaway. 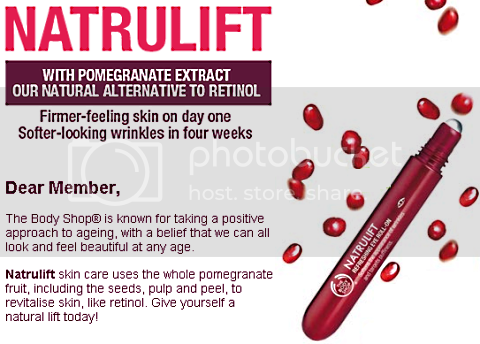 NatruLift Refreshing Eye Roll-On: A refreshing roll-on to brighten, firm and soften the appearance of wrinkles around the eyes. VERDICT: This product comes in the shape of a pen, which actually lets you carry it all around with you wherever you are. Technically idiot-proof, it is spill-free and fuss-free through and through. And because it comes with a metal roller ball, it is practically impossible to over-administer on your eye bags. Personally, I would say it's consistency is like watery-based serum and depending on how much you apply, it takes as little as 5 minutes for it to be totally absorbed into your skin. However, if you are someone with very dry skin, do expect a slight tingling and burning sensation when you apply it underneath your eyes. Since I have oily/problematic skin, it just feels cool when I rolled it on my eyebags. If you are someone with dark circles, puffy eye bags and fine lines, this is defintiely an effective product to consider. Previously, I had really visible eye bags and it really looks puffy to the point where I thought I am capable of storing mini curry-puffs in there. 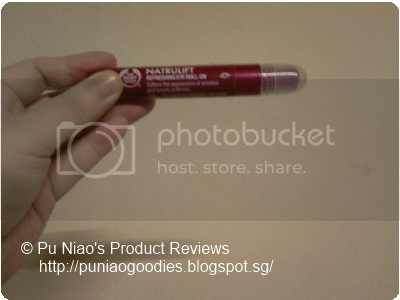 But after a few weeks of using NatruLift Refreshing Eye Roll-On, I noticed my eyebags aren't so puffy anymore. As I tend to sweat in the daytime due to the hot weather in Singapore, I normally apply this after I shower so it can be absorbed into my skin faster. And once more in the evening as well. For some of us, we might be able to see the benefits as fast as under 3 weeks while some may need a little more than 3 weeks to see the effects of it. As with the same as any facial/eye products, you need to keep using it long-term in order to know whether it works or not. 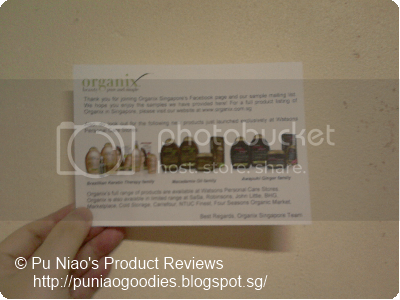 WHERE TO REDEEM A SAMPLE: So far there is no sample that I am aware of that you can bring home to try. 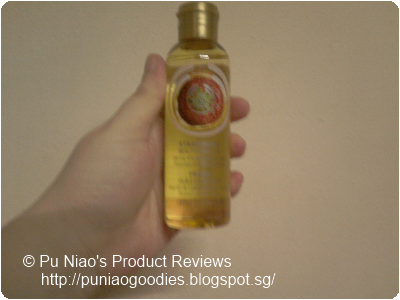 However, do drop by any The Body Shop outlet where you can test this product with their sample in-store. 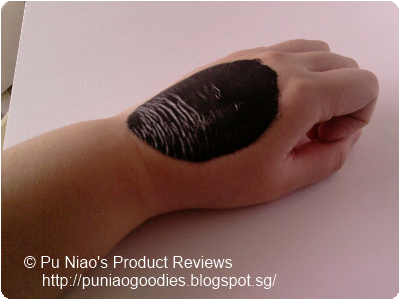 If you are a little queasy about rolling this on your eyebags with a sample product, try using this on the back of your hand to determine the consistency and how fast it absorbs into your skin. 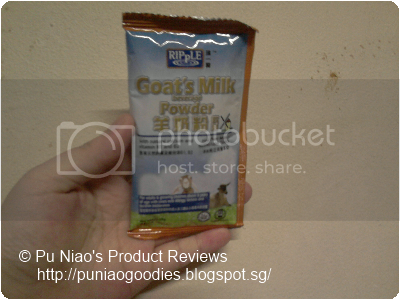 Ripple Goat's Milk Beverage Powder: Goat’s Milk on its own is close to being the perfect food of nature, with a chemical structure amazingly similar to the human mother’s milk. The average size of goat milk fat globules is about 2 micrometers, as compared to 2 1/2 - 3 1/2 micrometers for cow milk fat. These smaller sized fat globules provide for a better dispersion and a more homogeneous mixture of fat in the milk. Goat’s milk is also a source of potassium, an essential mineral for maintaining our human health. VERDICT: Initially, I was very hesistant about trying this when I got it from buying the latest issue of Feeling, Guardian Pharmacy's in-house magazine. To be honest, I have never tried Goat's Milk before and regular cow's milk just keep giving me gastric and stomach cramps that can last for up to a full day. But when I did, I was sure glad. The taste wasn't awful at all, in fact, if I was given a mug of goat's milk, I could have thought it was regular cow's milk if no one told me. The taste isn't that far off at all, there's absolutely no "goaty" taste even though it's "Goat's Milk". I waited a few hours after consumption and there were no bad effects that I had when I digested regular cow's milk. No gastric-related pains, no stomach cramps, I'm just so in goat's heaven. Feeling that I can get really chummy with the goats there. You see, goat's milk has a chemical structure that is very similar to human mother's milk and at the very same time, the fat globules is about 2 micrometers, as compared to 2 1/2 - 3 1/2 micrometers for cow milk fat. Which just simply meant easier consumption and when it gets digested into your stomach, smaller sized fat globules provide for a better dispersion. Unlike regular milk which definitely takes a longer time to disperse. 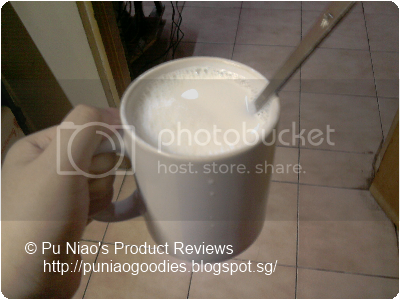 Now, I cannot get enough of this Goat's Milk. Must have seconds!! Click on the link under Like and Message button that says "Free Sample". White and watery with a pleasant smell. 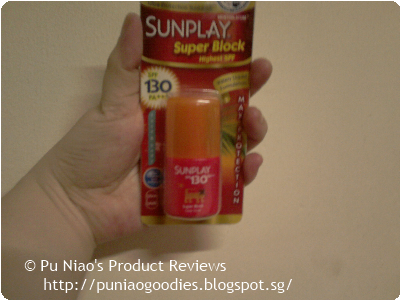 Sunplay Superblock SPF130 PA+++: Sunplay Super Block SPF130 PA+++ offers Maximum Outdoor Protection for long hours sports and outdoor activities. It not only has the highest SPF for maximum protection, providing protection against UVA and UVB rays throughout the day, it is also made with Japan’s innovative Watery Liquid Formulation. Free from colorants. Low irritation. 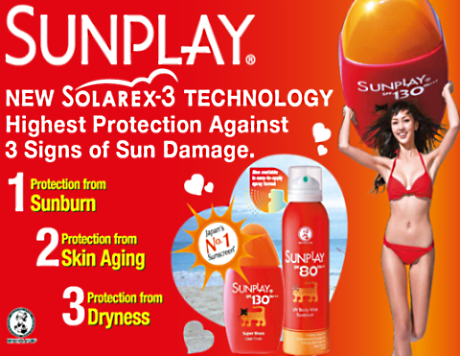 Sunplay, the no.1* sunscreen brand in Japan, has launched its new Sunplay range with a patented, improved sun care technology, SOLAREX-3. It fights 3 Signs of Sun Damage, so you can play long hours under the sun carefree! Ultraviolet (UV) light is found in sunlight, filters through the atmosphere and penetrates your skin's outer layers. The two types - UVA and UVB - affect skin in different ways. First up, UVA: Think "A for Ageing". The effects are not immediately visible, but in time, the damage will emerge as freckles, pigmentation and wrinkles. As well as being a catalyst for ageing, UVA reaches the skin's deepest layers. damaging the cell structures and causing mutations in the DNA. For UVB, think "B for Burning". UVB will burn, blister and can increase the likelihood of developing skin cancer. To protect yourself from both, ensure your sunscreens have both chemical and physical filters. Chemical filters (like avobenzone and mexoryl SX and XL) have to be applied 20 to 30 minutes before exposure and neutralise UV light through a chemical process when it hits the skin. Physical filters (like titaniuim dioxide and zinc oxide) might be slightly thicker and more visible on the skin as they sit on the surface as a physical block, but they work by instantly reflecting UV light away from your skin ensuring nothing gets through. VERDICT: When I first know about this wonderful little thing called "Suntan Lotion", it was one of those days while I was still small and my parents took me to St. John's Island for our once-a-month Sunday family day event. Back during the 1980s and 1990s, our version of "sun block lotion" and the likes were mainly "Coppertone". And as kids, most of us who didn't know the benefits of "suntan" or "sunblock" lotions thought it smelled and adults forcibly applied it on us partly because with these lotions, the sun wouldn't hurt us too much. Fast forward to 2012 now. Suntan and Sunblock lotions have long undergone new transformation. Gone are the days when suntan and sunblock used to be somewhat stinky and oily despite hours after application. 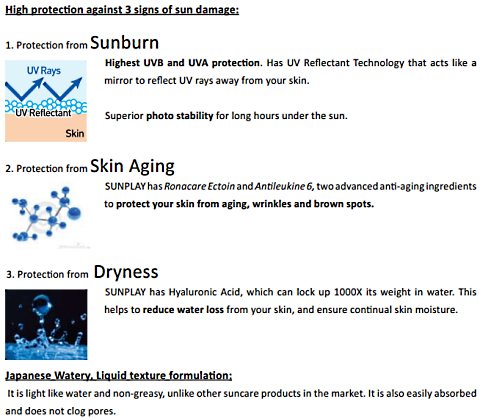 One such example is Sunplay's Superblock SPF130 PA+++ which now comes in Superblock version for application on our face and SuperMist version for place on our body we cannot get access to. For Superblock, you just need to shake the bottle, à la liquid paper in the 1990s before you use them. When I poured out a little, (poured, no more squeezing), it was watery and white and the smell wasn't that horrifying enough to evoke memories of being forcibly. In fact, the smell was surprisingly pleasant enough that I literally had to control myself not to go overboard with this product. 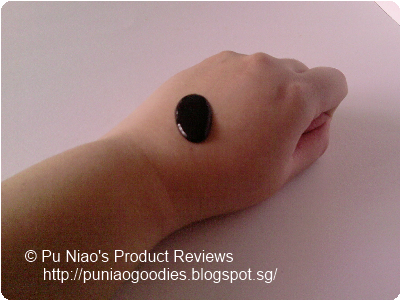 When applied on my face, it doesn't feel greasy and it is so easy to apply. And I thought I went a few shades paler after application ^^ Despite being in the sun for just a little over 1 hour and possibly with some sweating included, this wonderful little product didn't make my face feel oily and most of all, it did not clogged my pores at all. And it does live up to it's promise as being "sweat-proof" since wiping my sweat with tissue paper(s) didn't leave a white residue on the tissue itself. And since this little bottle boasts a high SPF of 130, this means that my skin gets protected for an even longer time while under the sun. Easy application and fast absorption meant that you can play even more while underneath the scorching Singapore sun. Let's face it, the weather in Singapore is the equivalent of having intense summer all year round with the few exceptions of a few rainy days here and there. Our life is even more hectice and we sometimes have to constantly protect our face not just from environment bacteria, but also that big old Sun high up in the sky. Makes you feel like a little French-Fry being kept hot and warm, huh? WHAT I THINK: Do you have a sunburn, or are you always this hot (and possibly sweaty and stinky)? Click on the link under Like and Message button that says "Free Super Sunplay Block SPF". The Body Shop Beautifying Oil: Dry oil for body, face and hair, moisturises, smoothes & illuminates .A multi-purpose oil which can be used for body, hair, and face. Instantly banish dryness and restores softness, without the sticky and greasy feel. Beautifying Oil is pure beauty in a bottle. Made with a lightweight blend of nut oils including Community Fair Trade marula oil, kukui nut, and sweet almond oil, and it gives instant hydration and a shimmering finish. 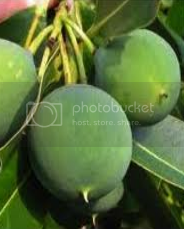 Marula oil comes from the ripened fruit of the marula tree which is native to many parts of central and southern Africa. The women of the cooperative extract the kernels from ripe marula fruits by hand, then cold-press the kernels at their factory to extract the marula oil inside. The ancient Hawaiians realized that the kukui nut oil was a perfect moisturizer for their skin. The oil forms a semipermeable barrier on dry skin to prevent further damage and allow the body to heal itself naturally underneath the oil. The nuts were also cooked and chopped and used for flavoring foods. Sweet Almond Oil provides essential fatty acids that help to repair skin's moisture barrier, thus helping to restore moisture, smoothness and suppleness. Almonds contain monosaturated fat, healthier type of fat which may be useful to lower blood pressure. Technically speaking, Olive and Shea are too rich for my skin and I really cannot imagine acne problems on other parts of my body other than my face. So naturally, I went for the Strawberry Beautifying Oil instead. Upon the first sniff at the TBS outlet, I noticed that that Strawberry version seems scent-less. But it was only after trying some on and I realized our own body heat slowly released the wonderful and sweet scent of Strawberry. After application, the beautifying oil is quickly absorbed into my skin, giving it a soft, hydrated, supple and dewy look and it doesn't even feel oily despite hours after application. The "Illuminate" part doesn't make you look like you're a walking sebum bomb too, it just gives your skin a light and healthy sheen to it. Despite the bottle's small opening, you can still control how much oil you dispense out to use. Also, another genius way to avoid unwanted accident spills if you accidentally drop the entire bottle. For Usage on Face: Pour out a few drops and gently rubbed into your face in circular motions to let it absorb completely before you go to sleep. If you intend to use this in the morning, apply it on after you moisturize your face and before applying makeup to ensure that the oil hydrates your skin first. For Usage on Hair: Pour out a few drops (just a few, too much and your hair will go limp like mee-poh noodles), distribute thoroughly between your palms and apply liberally to the driest part of your hair, example, split ends. DO NOT apply to your scalp whether you have oily scalp in the first place. Unlike what other users may claim about applying from scalp to ends, it is NOT the way to do it. You need it to moisturize your hair, not the scalp as our scalp already produces sebum. If you apply to your scalp, be prepared to walk around with limp and flat hair for the rest of the day. And it has already been stated on the bottle itself, it's for Body, Face & Hair. Not Body, Face & Scalp. So, DO NOT, NEVER EVER, apply to your scalp. Use this beautifying oil the same way as you would use a conditioner in the shower. For Usage on Body: Pour out a few drops for each part of your body that you feel needs to be moisturised with the Beautifying Oil. Again, discretion is advised. You are to use this oil to moisturize, not drown your skin with it. Start with 2-3 drops per body part to allow easier and faster absorption. Why you shouldn't apply any products on your scalp: Just because experts say not to neglect your scalp by using a shampoo that is made specifically for your scalp type meant you should apply any other products on your scalp. Why? Too much residue on your scalp can cause dandruff, sensitivity and even hair loss. Apply them only on hair ends, especially on split ends. If you have long hair, apply them to the last 15cm of your hair. Qns: Why does the last 15cm need more care then? Ans no. 1: Your hair ends are senior citizens! 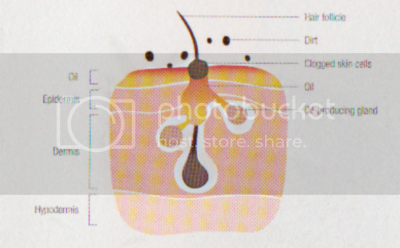 Hair grows at 1.25cm per month, which means it takes 1 year to grow a full 15cm!! 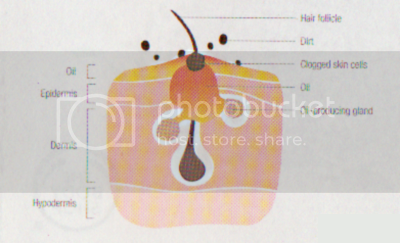 So imagine if you have shoulder-length hair, your hair ends should be about 2 years older than your roots. Come on, even Xiaxue knows that. So, if you come across someone who insists on you applying products on your scalp other than shampoo, then here's 1 fact you need to know. Congratulations on getting dandruff, sensitive scalp and possibly hair loss in your early year despite that fact that you used to have long and beautiful luscious long hair. You can google on topics why you shouldn't apply anything else on your scalp, with the exception of shampoo and other products that are deemed safe to do so. This blog owner has tried and tested her long hair previously and is pleased to inform you that what she tells you is from her own personal experience and almost all 99.99% of information here is just to give you a further insight on what you should and what you shouldn't do and it's ultimately for your own good. Not to sabotage you, but to help you along the way. WHAT I THINK: A little goes a long way. 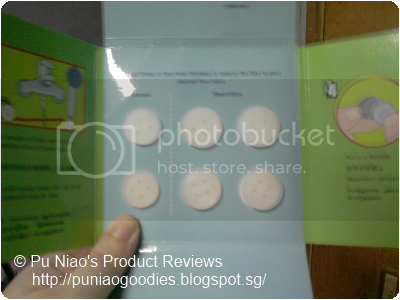 WHERE TO REDEEM A SAMPLE: There isn't any sample sachets to try out. Instead, just head on over to any The Body Shop outlets in Singapore and give their Beautifying Oils a try on the spot from their sample bottles. Some beautifying oils may not give off any scent even though the bottle comes labeled with, say, for example, Strawberry. Do not fret too much either. Certain oils need contact with our body heat before the fragrance is released. Therefore, if Strawberry Beautifying Oil seems scent-less when you sniff it, just apply a few drops on your fore-arm thoroughly and take a whiff out of your forearm again. You will be able to smell the sweet Strawberry scent. 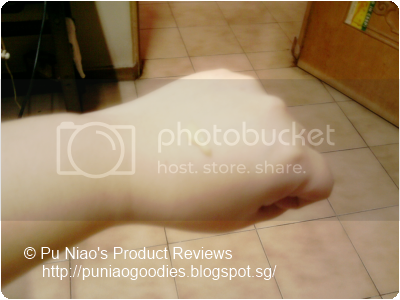 And each wonderful bottle cost(s) only S$22.90. If you have The Body Shop Rewards Card, you will get a 10% discount per bottle bought, making it an affordable S$20.61 only for a good 8 hour moisturized skin. Natural Pack (Charcoal Mask): Formulated with the natural ingredients from Oak trees, it removes oils and all dirt and deeply clean the pore, leaving your skin clearer with less visible pores. 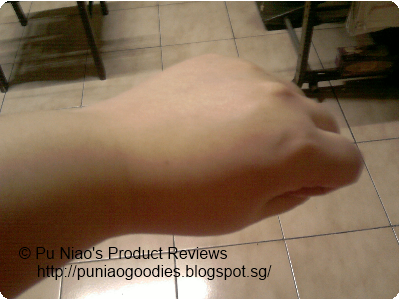 I squeezed out a generous amount on the back of my hand, partly for reviewing purposes. Do not be greedy and squeezed out too much or it will take even longer to dry out and it may not come off in 1 piece. VERDICT: First of all, the smell isn't anywhere close to the smell of real charcoal at all, believe me, I really poked around my kitchen for a real charcoal to sniff... 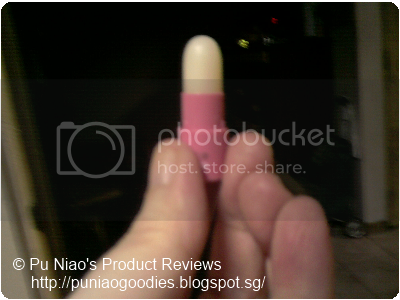 The scent isn't near Talcum powder level, in fact, there is not talcum powder scent at all since I am allergic to talcum powder and a little whiff gives me asthma whether I sniff it intentionally or accidentally. But then, it doesn't smell like flowers and peaches either. Let's just say, the scent of it is rather pleasant despite the product looking black and grimy. 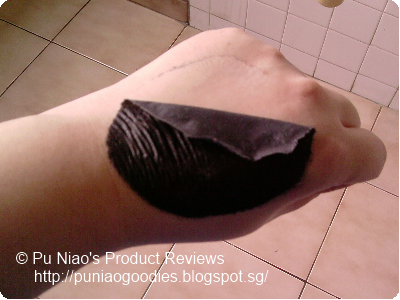 The consistency of this Charcoal peeling mask is watery enough to spread over my face evenly and at the very same time, it is definitely thick enough to cling to the skin of my face without dripping off at all. 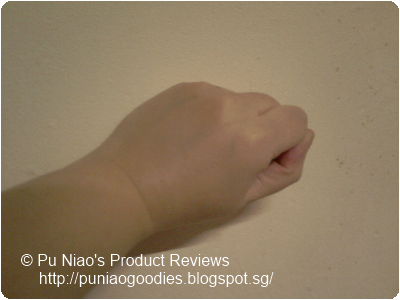 As with all other similar types of peeling mask(s), this is best applied in a circular motion. However, if you think you overspread on a particular area, just smooth/glide the excess to a clean area if you don't like to waste. My normal standard time of waiting for peeling masks is an extra 5 minutes despite the instructions of say 10-15 minutes. Singapore is just too humid in the first place where facial instructions are concerned. Once dried, I started peeling the mask from the forehead area, downwards towards my chin. It peeled off easily and the inside of the peeling mask "showcased" my very fine facial hair that I can probably make do without, a thin layer of dead skin cells I do not want to keep and some extra blackheads that I missed during my twice weekly nose-pore cleaning activities. My face doesn't feel overly dry, in fact, it feels smooth like a baby's bottom. It's gentle enough to peel off, this is one fact you cannot deny. 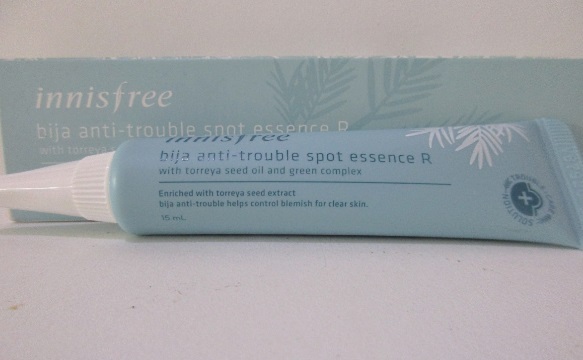 Even if you are someone with sensitive skin that might hurt easily, this one's good for keeps (remember to use, don't just keep it and admire). 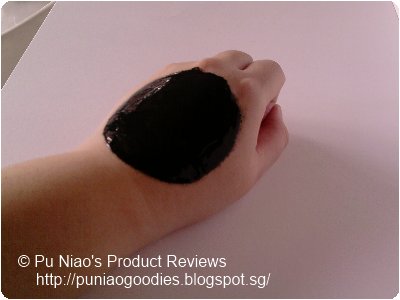 WHERE TO REDEEM A SAMPLE: So far, there's no samples for this Natural Pack Charcoal Mask, especially from Daiso. 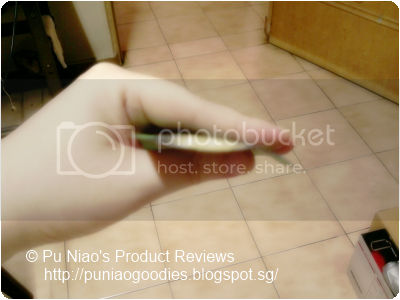 However, this product is definitely worth your S$2.00 worth. I assure you, my dear readers. 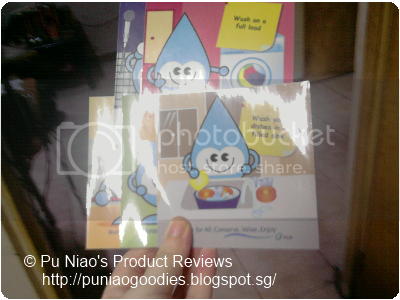 You can get this product from almost every Daiso outlets in Singapore for a low and affordable price of S$2.00 only.